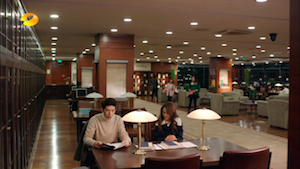 相爱穿梭千年 Love Weaves Through A Millennium Episode 1, 2, 3, 4 RECAP/REVIEW SYNOPSIS – TRANSLATED! I started this drama without high hopes – I thought I would just watch the first two episodes and see I liked it, and I am hooked. 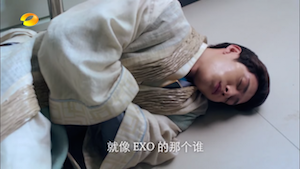 It’ll be a painful process though – I’ve been so spoiled with dramas airing everyday, while this one will make me wait until every Sunday and Monday for my drama dose. This drama is about a scholar from 2000 years ago that time travels to present day, and falls in love with an actress. It’s corny and cheesy, so I’m not going to be too hard on the plot holes. Zheng Shuang is our female lead in this drama, and she’s very very pretty. I can’t believe that she’s only 23 years old – firstly, she’s very good at acting, and also, it’s actually quite difficult to become a female lead at such a young age. I mean look at Tiffany Tang of Lady and the Liar, and Fan Bing Bing of Empress of China, they’re both past their 30’s. The second female lead, Na Na (who is Korean, and also very pretty) is also 23 years old. 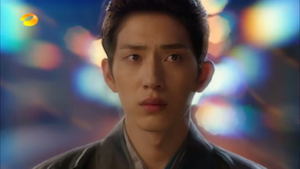 Our male lead, Jing Bo Ran (who I didn’t find attractive before, but he’s growing on me), is only 25 years old. Compare that to Hawick Lau who’s 40 years old, and Aarif Rahman, who’s turning 28 years old. It’s a very young cast! I must warn you, the first episode out of the four is the hardest to get through. Firstly, the ancient part is very vague and confusing, and they don’t give you much backdrop. Luckily, your homegirl aka me, will give you the down low so you can make it through without being completely confused. Secondly, I think they’re really trying to establish the character of Lin Xiang Xiang (the name of our female lead) and she’s acting too cute. Don’t worry, this will tone down by the second episode, and I actually find her cuteness to be quite believable and I started to find her character relatable instead of a lot of other female leads. 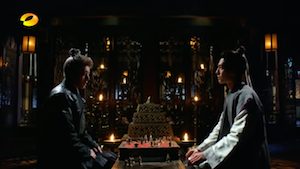 Our episode begins with our male lead, Gong Min, playing chess with his bff, Wang Mang. Someone explain to me why he has gray hair. 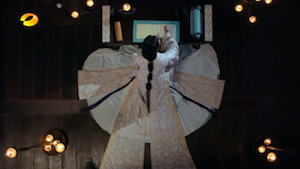 Gong Min is a supporter of the dethroned Empress Xu. Empress Xu was punished for practicing voodoo in the palace on Zhao Fei Yan, who is a concubine that received all of the Emperor’s attention. 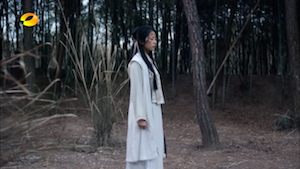 Gong Min recognizes that Empress Xu is an honest person, and she only practiced voodoo under the influence of a sorcerer that was sent by Zhao Fei Yan. In other words, Empress Xu got tricked/framed by the tactics of Zhao Fei Yan. Wang was on Zhao Fei Yan’s side. Wang was involved in the scheming against Empress Xu, working alongside with Zhao Fei Yan. Interestingly, Wang said something very inappropriate/not loyal, which is “Look at how our people is living now – it doesn’t matter who governs the country, as long as people are fed and warm, they’re happy” – which implies he might be planning against the current Emperor. 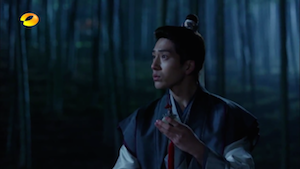 Gong Min leaves angrily, but not before revealing that he actually knows everything about his involvement of the dethroning of Empress Xu, and that he actually has the sorcerer that helped frame Empress Xu in custody. If I learned one thing about dramas, is never to reveal that you’re going to rat out the person that you’re talking to because usually, well, you’ll get murdered. 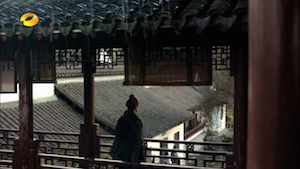 Luckily, Wang lets Gong Min leave, because they’re BFFs, but he tells his servants to follow him to capture him (which is very counter-efficient, but, drama). Meanwhile there are assassins (sent by Wang + Zhao Fei Yan) to murder Empress Xu. Luckily they’re stopped by Ying Yue, who is Gong Min’s loyal guard. Someone tell me where she got red highlights. 2000 years ago where they didn’t even have toilets or toilet paper. 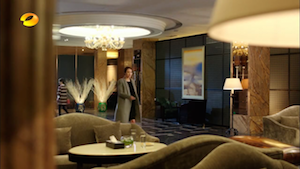 We are flashed scenes so we see Zhao Fei Yan, which is disappointing because according to history she’s supposed to be drop dead gorgeous, but the actress is not. 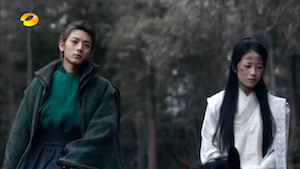 Someone tell me why Ying Yue has purple highlights. Seriously, production crew? Was it really such an important part of the plot to give the characters back in ancient time HIGHLIGHTS?! LIKE C’MON I am already being lenient on the plot holes, you guys are asking for too much. But anyways, Ying Yue (with her highlights) gift Gong Min a jade charm to keep him safe. This jade charm was given to her by her father, who got it from a monk in a magical place. Remember this, because we’ll be discussing this later. The story in the present day starts with Xiang Xiang showing up for an audition. She is fumbling because she needs a change of clothes and she was almost late. She bumps into her ex, who is also an actor. His name is Han Yu Fei, and he’s still enamoured with her, even though she hates him. It’s implied they broke up because he cheated on her. Also, Han Yu Fei is famous and successful now as an actor, but he still wants to get back together with her. Xiang Xiang is super cute (even though it might be a bit much at first), and she starts stretching in her very short dress, and downs a beer before her audition. The directors ask her to sing during her audition, and we see flashbacks of her and Han Yu Fei. 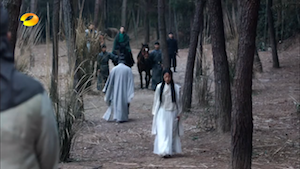 Finally, Han Yu Fei shows up, and it’s revealed that he’ll be playing the Emperor, while she’s playing Empress Xu (yes, the one that you saw almost get assassinated in the first part of this episode). Han Yu Fei suggests improv, and Xiang Xiang gets very into it, and ends up slapping him across the face. 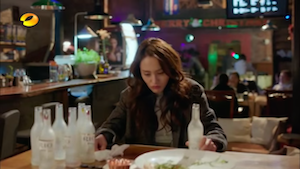 Xiang Xiang goes to a bar afterwards because she’s convinced that she didn’t get the part. Empress Xu is very quiet and meek, and would never slap someone across the face. 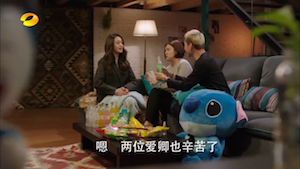 We also meet her manager (Jing Jie) and the assistant – who are so cute together. They’re like family. S-s-surprise! 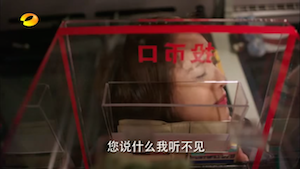 Xiang Xiang actually got the part (because, drama), except that she dropped her phone into the bus fare collection box, because, drama. Don’t worry, it gets better. 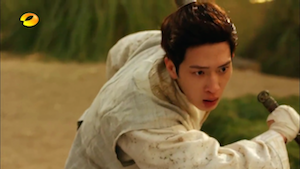 Wang sends his men to capture Gong Min, except they try to assassinate him. When they do though, drama happens – he’s time travelled to the present day that you and I live in! There is no rhyme or reason, and they never explain this in depth, but drama, I will let it go. 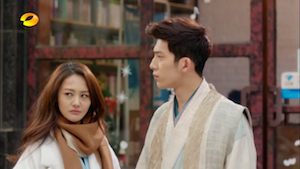 Gong Min meets the cute drunk Xiang Xiang, and she thinks he’s crazy, and he’s probably an actor that’s way too into his acting. Gong Min is really confused by the strange architecture and the strangely dressed people. 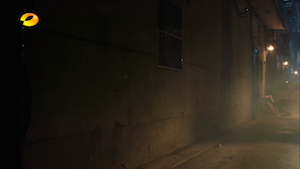 Xiang Xiang sees his injured hand and tries to wave down a taxi, but Gong Min disappears into the back alley. Somehow time travel happens again, and he’s back in the forest. He only leaves behind the handkerchief that Xiang Xiang had wrapped around his hand when she saw his injury, which Xiang Xiang grossly picked up and kept. Drunk Xiang Xiang tells her manager and assistant that she got the role and they celebrate with alcohol! 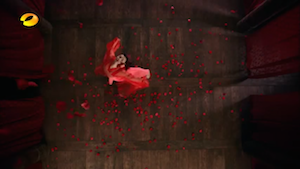 At this moment Han Yu Fei calls her and asks to see her. The manager and assistant make her go, so she shows up. They have a very cute scene where he begs her to get back together with him. He’s really charming as the second male lead, but I mean he cheated. He tries to kiss her and she pushes him into the pool. Thank gooood finally a decisive and strong minded female lead. Gong Min, returns back into ancient times (remember, the back alley?) and he stays at his teacher’s place. But, being an inconsiderate d-bag, he doesn’t tell anyone. 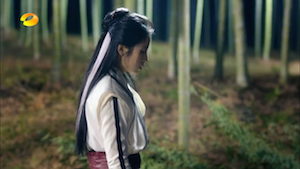 As a result, Ying Yue approaches Wang to figure out where Gong Min went. 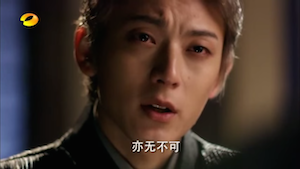 Wang decides to imprison Ying Yue to get Gong Min to come to him, in order to rescue Ying Yue. Can someone please explain why his hair is gray? Please? As the new Empress Xu in the drama, Xiang Xiang goes to the press conference. Xiang Xiang meets Nana, the actress who’s going to play the lead as Zhao Fei Yan. Nana acts like a total b*tch and doesn’t respect Xiang Xiang, because Xiang Xiang only got the role because of connections. Xiang Xiang runs off from the press conference and bumps into Gong Min at the same time. Gong Min was coincidentally sent to the present as he was getting assassinated. 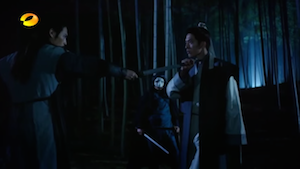 Xiang Xiang tries to defend Gong Min but receives a blow to the head and passes out. As a result, Xiang Xiang misses the press conference, and she’s discovered by workers nearby and was sent to the hospital. No one believes Xiang Xiang about this man dressed in olden day clothes, and her manager + assistant think she’s crazily. Luckily, Xiang Xiang tracks down Gong Min by the help of a couple of school girls that answered her phone that Gong Min kept a hold of. 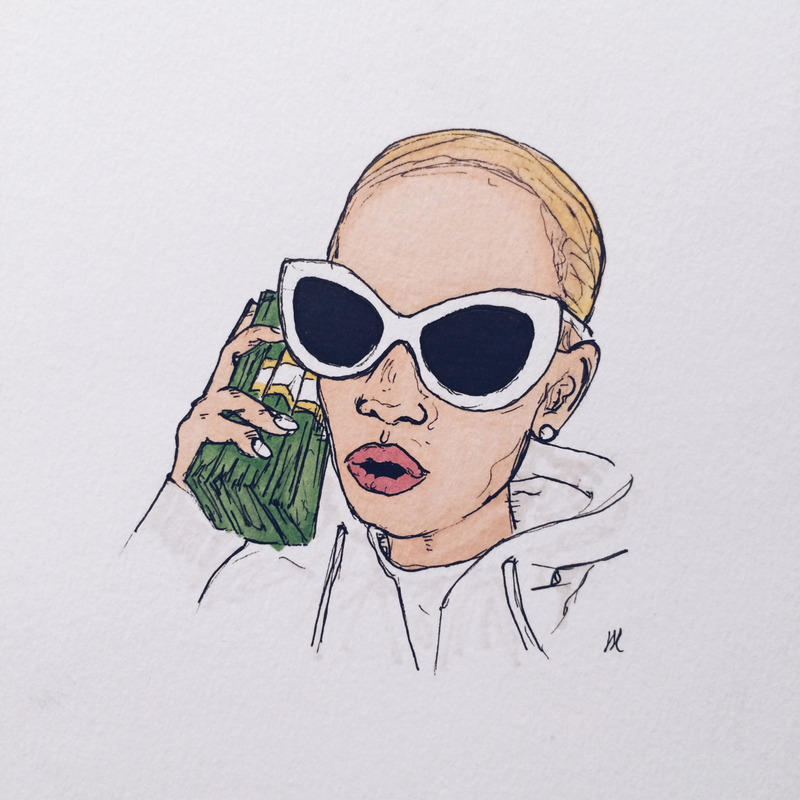 If this was real life, many people might have stolen that phone. Just sayin’. 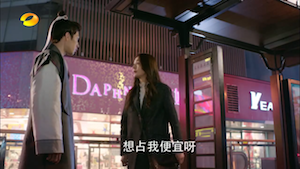 Xiang Xiang finds Gong Min and decides to take him on her full day trip to apologize to everyone. Nana was threatening to drop out of the production as the female lead because of Xiang Xiang’s disappearance during the press conference, and that the filming is delayed because Xiang Xiang’s injuries. During their ‘apologizing’ adventures, Xiang Xiang forces Gong Min to get a hair cut. He looks a lot better. Xiang Xiang approaches Nana to apologize. Nana acts like a complete b*tch and refuses to apologize. 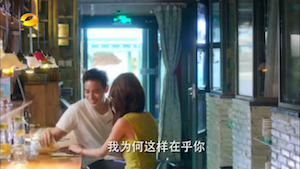 Xiang Xiang tells Nana that she’s ‘impolite, uncultured, and rude’, and receives a slap from Nana across the face, so Xiang Xiang slaps her back (good job!). 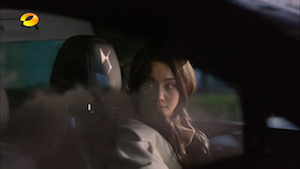 Nana tries to slap her again, but Gong Min steps in (after a long and humorous struggle of getting out of the car) and defends Xiang Xiang. 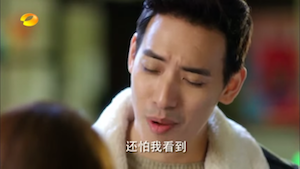 He tells Nana that she looks weird, and leaves with Xiang Xiang. LOL. You could tell that that comment was the only thing that she cared about. At the end of everything, Xiang Xiang thanks Gong Min for staying with her for her ‘apology’ adventures. She offers him a ride somewhere, but he politely declines. She insists, and when she starts wiping the condensation off her mirror, she looks back and realizes he’s gone. She screams, adorably. 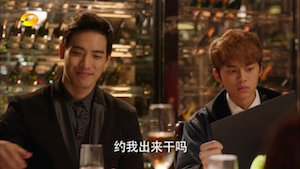 Luckily, Han Yu Fei convinces Nana not to force Xiang Xiang out of the cast through a dinner date. 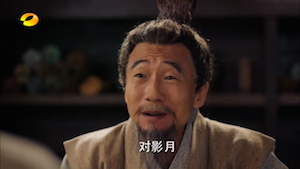 Meanwhile, back in ancient times, Gong Min finds out that Wang has Ying Yue. 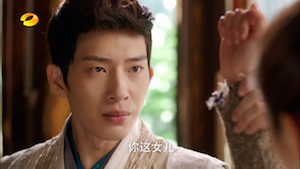 Not wanting her to get hurt, he agrees to release the sorcerer if Wang releases Ying Yue. This means that Gong Min has no evidence of Zhao Fei Yan and Wang’s ties to the downfall of Empress Xu. 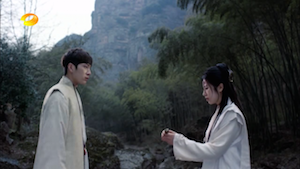 Gong Min tells Ying Yue about the time travel powers of the jade charm. He hypothesizes that it’s when his life is in danger is when the jade charm triggers the time travelling. Ok wait. So what about that time that you were in the alley? And in the car? You time travelled back? Did you attempt to commit suicide? That’s the only plausible explanation. This leads to our second question: this was passed down from a monk to Ying Yue’s father, to Ying Yue. You’re telling me, all three didn’t know this jade’s secret powers? I mean, the monk had to know right? 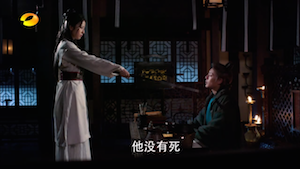 Anyways he gets Ying Yue to try to stab him, and voila! He’s back in present time. He’s nearby Xiang Xiang again because of fate or whatever. This isn’t stated explicitly but it’s my theory. People mistake him for being a pervert because he’s always following Xiang Xiang, and plus, he’s weird because of his ‘ancient’ demeanour and ancient outfit. Xiang Xiang agrees to help him. She now believes that he’s from the past 2000 years ago. 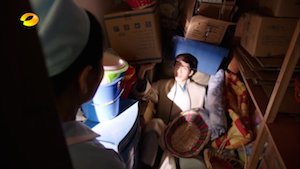 Gong Min requests to go to a library to be able to see what happens in history. 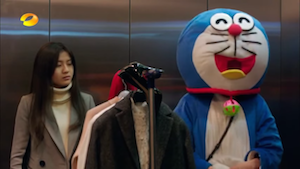 …Such as hooking Gong Min up with a spiffy outfit. … And Gong Min seeing paper for the first time. Gong Min finds out in history that the dethroned Empress Xu will be poisoned by the Emperor, and Zhao Fei Yan is crowned the new Empress. 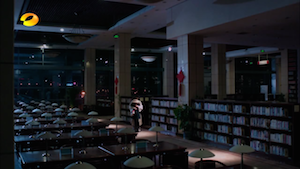 He’s devastated but Xiang Xiang encourages him to travel back and change the past now that he knows what will happen. Hellooooooo have you never watched a time travel movie before?! Butterfly effect, Back to the future, Hot Tub Time Machine, Donnie Darko?!!? Whatever he changes in the past will change the future and you could cease to exist! I would never suggest anything like that in case I would die LOL. 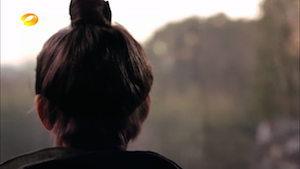 But anyways, Gong Min is encouraged and motivated to change the past, so he travels back. Before he does, Xiang Xiang gives him a big hug (which um back in ancient times is very inappropriate). By this time she’s developed a crush on him and so she doesn’t want him to leave. So far the drama looks promising – I like all the characters and there are no glaring plot holes. I’m looking forward to next Sunday!!! I can’t decide if I want to watch this drama or not so I’ll wait for your recaps. 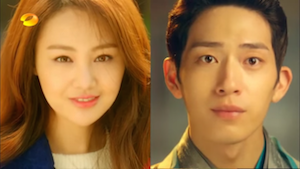 Remakes of Korean dramas are not usually my thing. 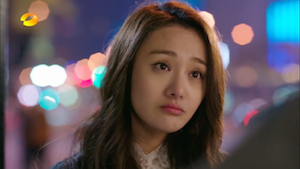 I do find Zheng Shuang pretty, but she was definitely prettier before going under the knife. 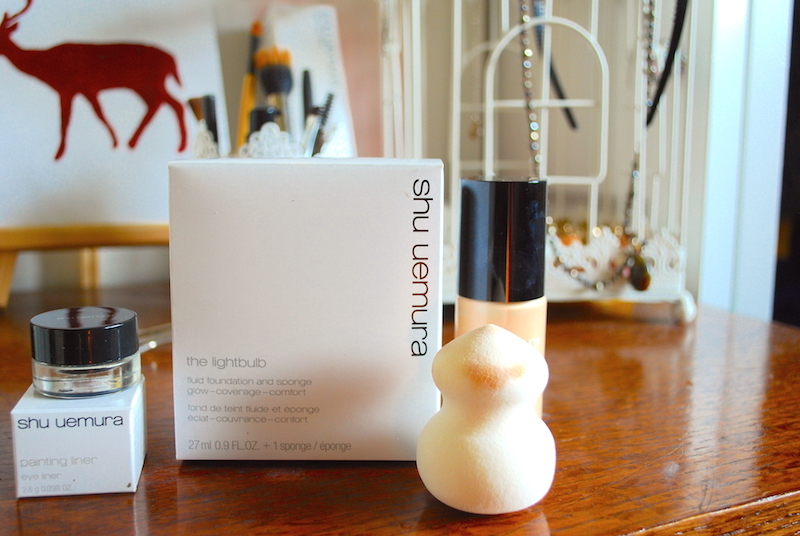 I was a silent reader when I found out you recapped Empress of China. I was dying for eng sub but thankfully you save my day! Your recaps are hilarious and I am so happy you are recapping this remake. 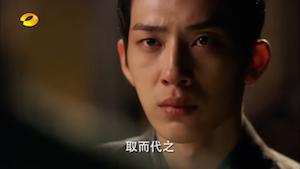 Yes, the cast is young and Jing Boran grew on me too. They are breadth of fresh air. Honestly I was getting sick of seeing Hawick and Tang Yan on screens. Zheng Shuang’s real voice annoys me a bit but it’s okay she feels quite natural in the role and the chemistry between these twos are so cute. Never get sick of Hawick 😀 but Tang Yan yes! i think this drama is the same in korean drama THE QUEEN AND I..( i think coz the plot is quite the same..